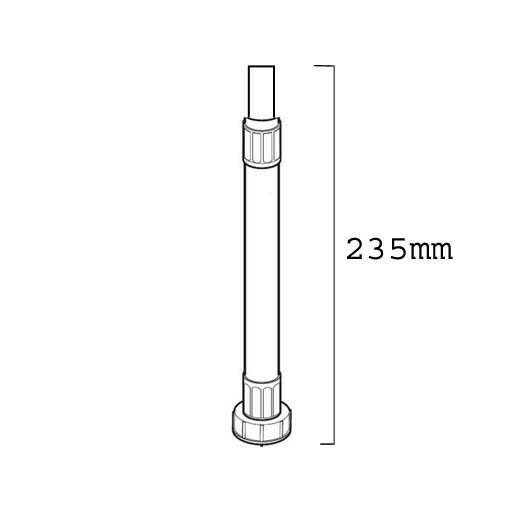 Replacement Pump hose for New Team or Showerforce Pumps, 235mm. Newteam and Showeforce replacement hose pump connection, outlet 235mm. Used normally on the outlet of the pump. The item was as described and of good quality. The pipe I received kinked as soon as hot water was allowed thro it. It was not significantly bent for use but is made of such thin plastic and reinforcing compared to the original that I expect a high degree of built in obsolesence. Good helpful service....... well done....... john c.